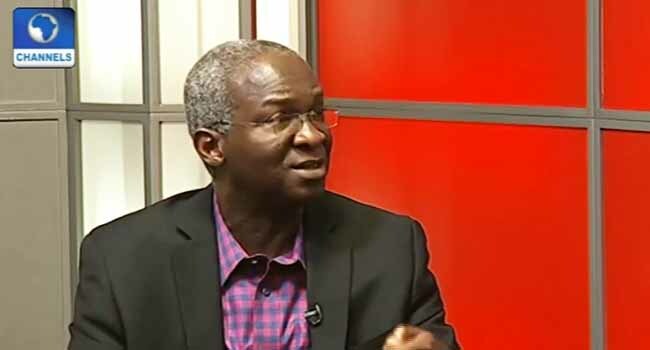 The Minister Of Power, Works And Housing, Babatunde Fashola, has blamed Nigeria’s recent drop in power generation, on acts of vandalism on the gas pipelines at the Ihovbor Power Plant in Edo state. Mr Fashola made the claims during an inspection of the 14 km Benin-Lokoja road reconstruction project at the Aduwawa axis in Benin City, the Edo state capital, as part of his assessment of projects being handled by his ministry in the state. “There is about 3,000 mw of power that is not available because of vandalisation, that is not helpful to the country. “If we add that 3,000 mw to the 4,000mw we have, then we get to 7,000 mw- that is the kind of progress needed,” he stated. Meanwhile, the Deputy Governor of Edo State, Philip Shaibu, has called for quick intervention on the failed portions of the Benin-Auchi road, among other dilapidated roads in the state. “There is one other place just by Ramat park, the place is caving in and we need to do something quick”. The minister has been speaking on reforms that would ameliorate power failure and the general living standards of Nigerians. He also said the nation’s current power generation will rise to 6,000 megawatts if the damaged oil pipelines in the Niger delta are restored. He made this known while speaking at the monthly Power Sector and Stakeholders Meeting which took place at the Olorunsogo injection sub-station of the Ibadan Electricity Distribution Company (IEDC). A group that calls themselves the Niger Delta Avengers have claimed responsibility for attacks on oil and gas facilities in the region, gradually dipping the nation’s oil production which had hit 2.4 million barrels per day in the post-amnesty era. For a nation that depends largely on sales of crude oil for its revenue, further drop in production at a time of volatile oil prices is a huge threat to the her economy. This is why the acting President, Professor Yemi Osinbajo, has assured the Niger Delta region of the Federal Government’s readiness to genuinely draw a roadmap, that will lead to the peace and development of oil producing states. This formed the core of the meetings he had with government officials and traditional rulers in Gbaramatu Kingdom in Delta State, Bayelsa state, where he has visited in the last couple of weeks as well as Rivers state, where he visited on Monday, February 13.